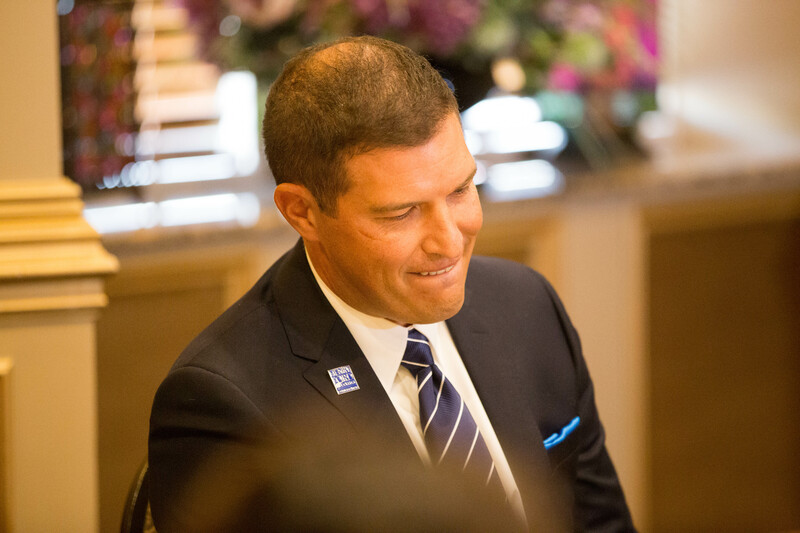 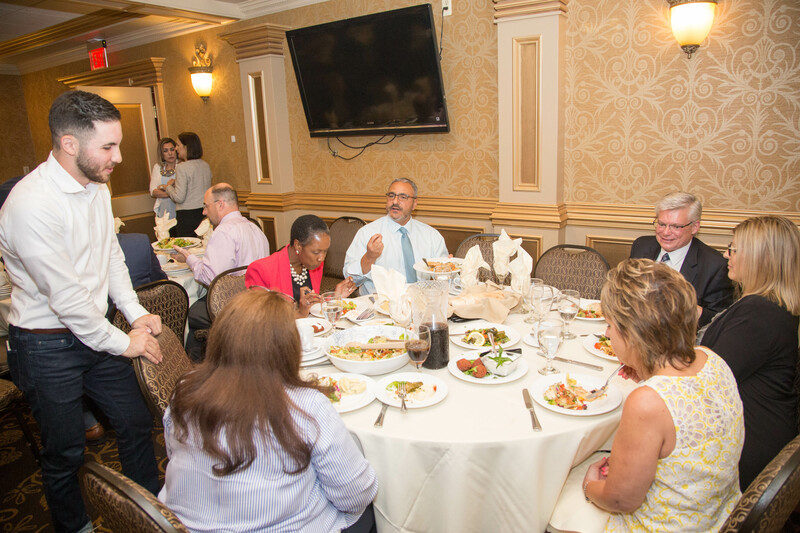 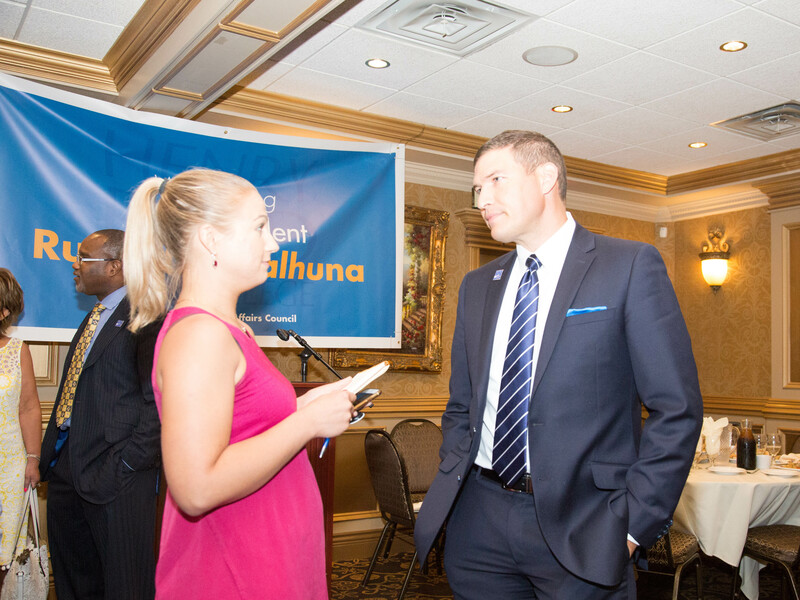 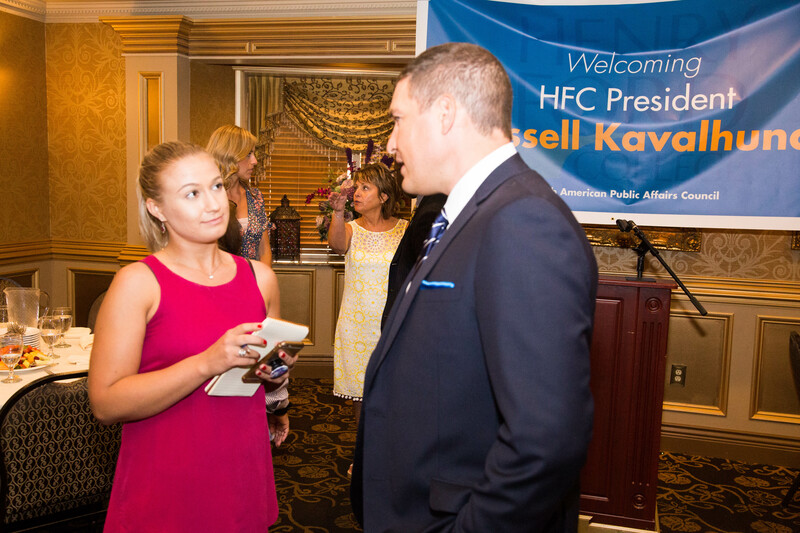 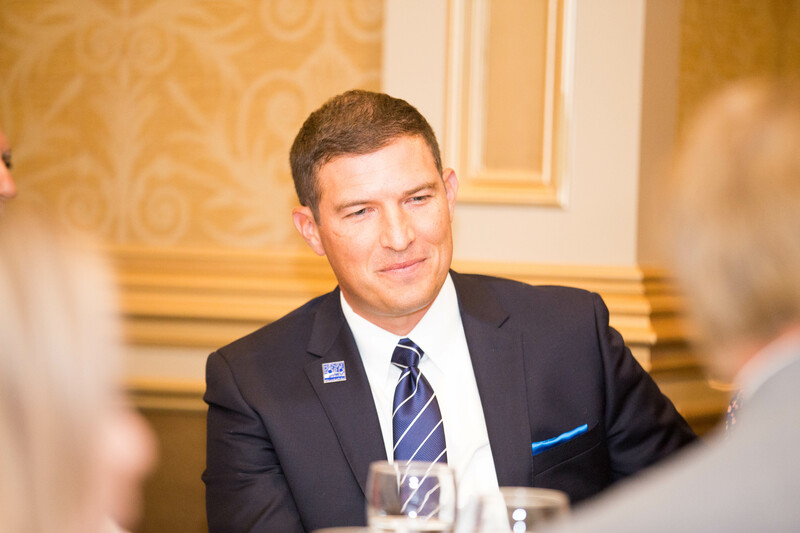 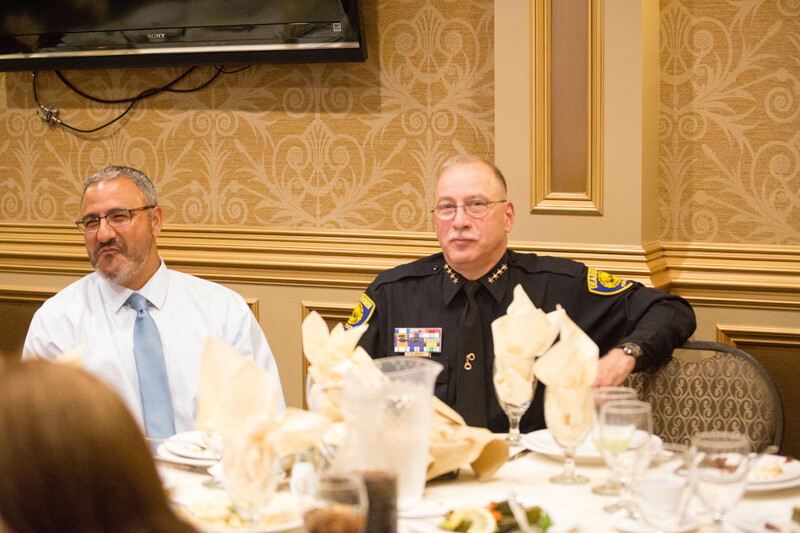 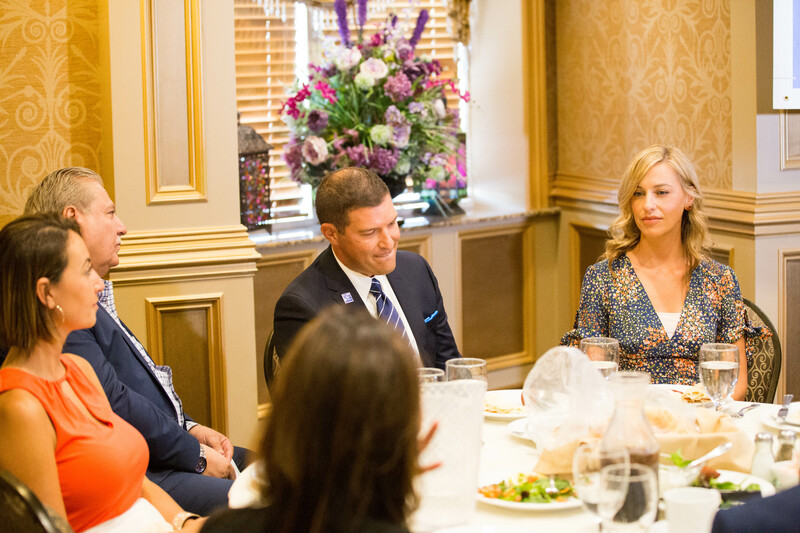 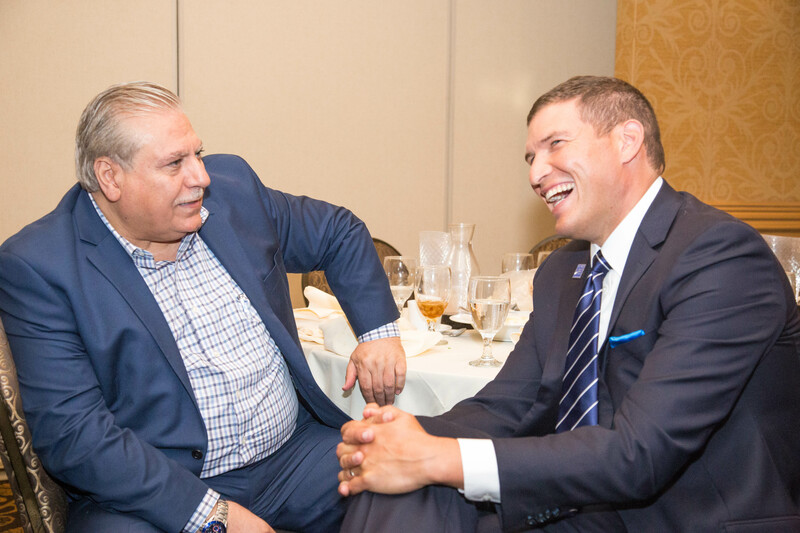 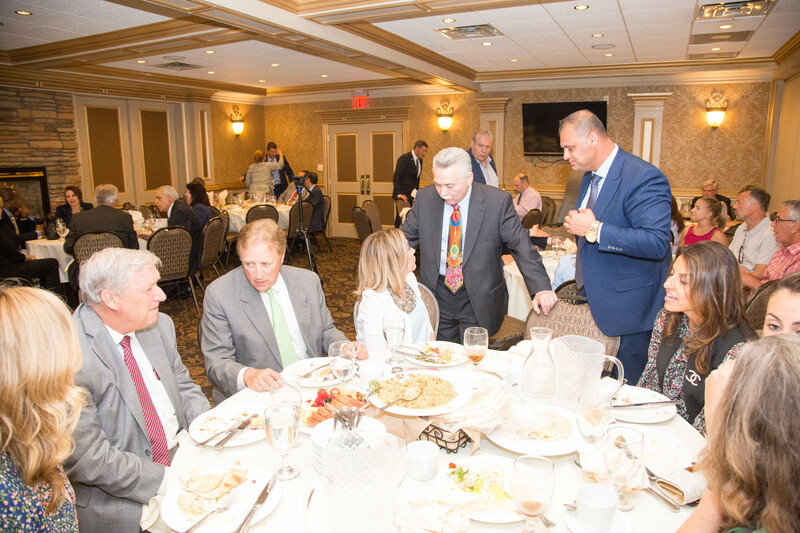 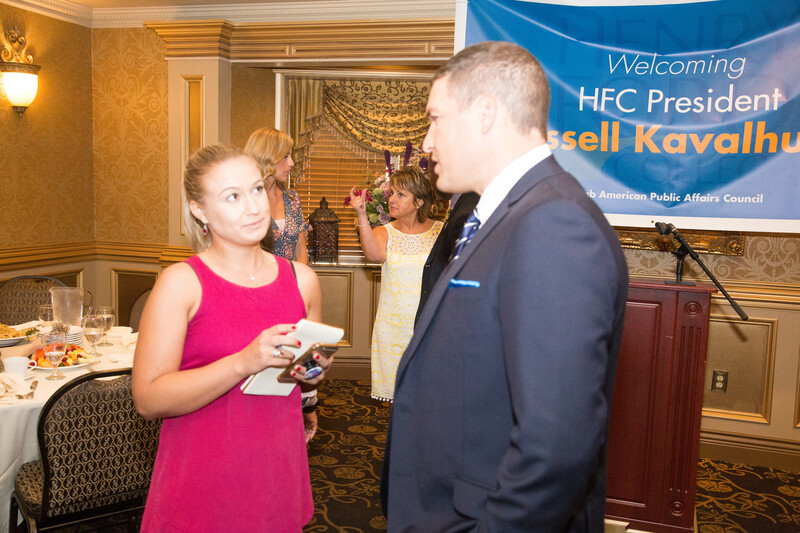 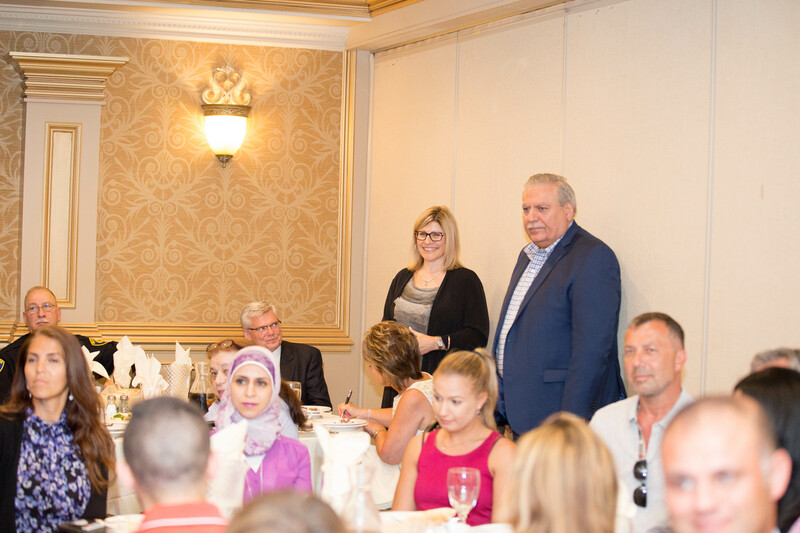 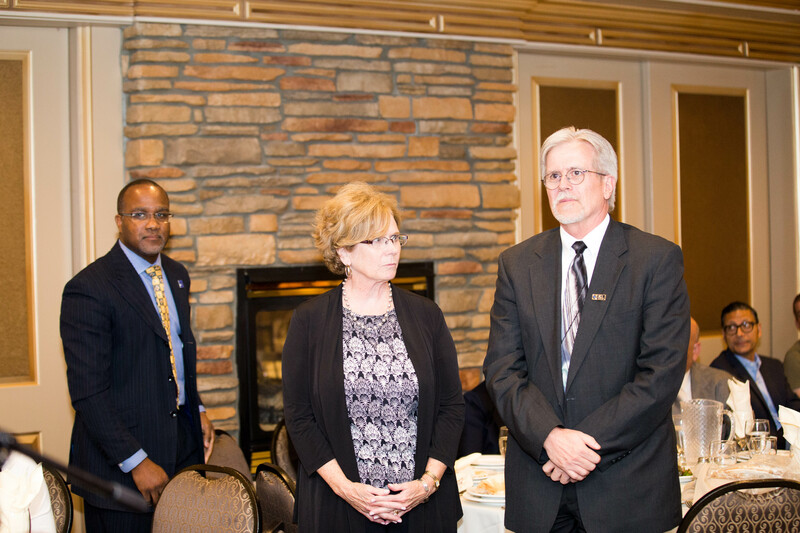 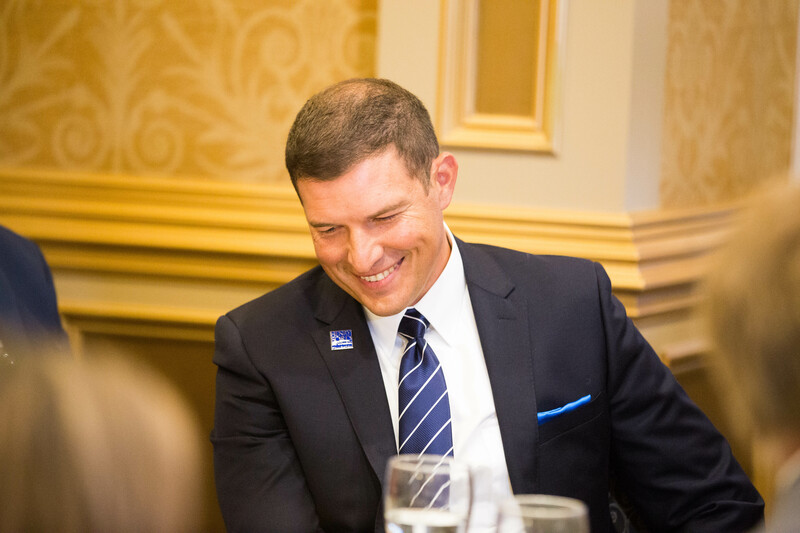 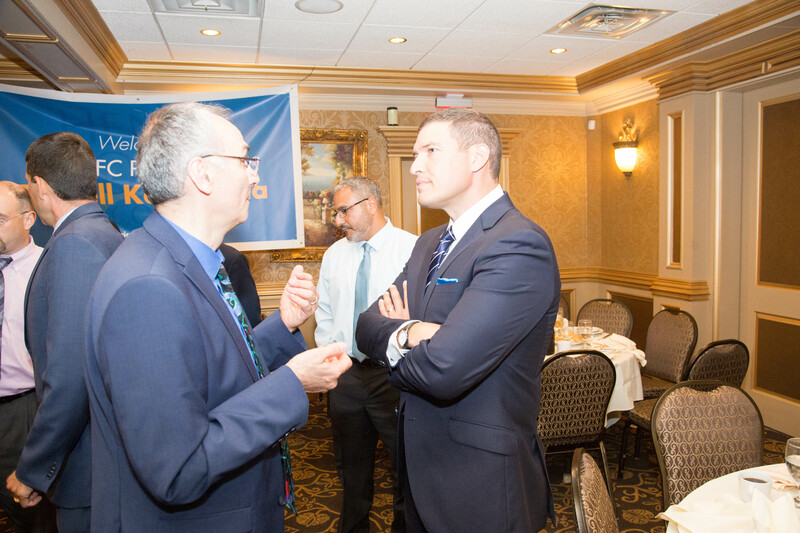 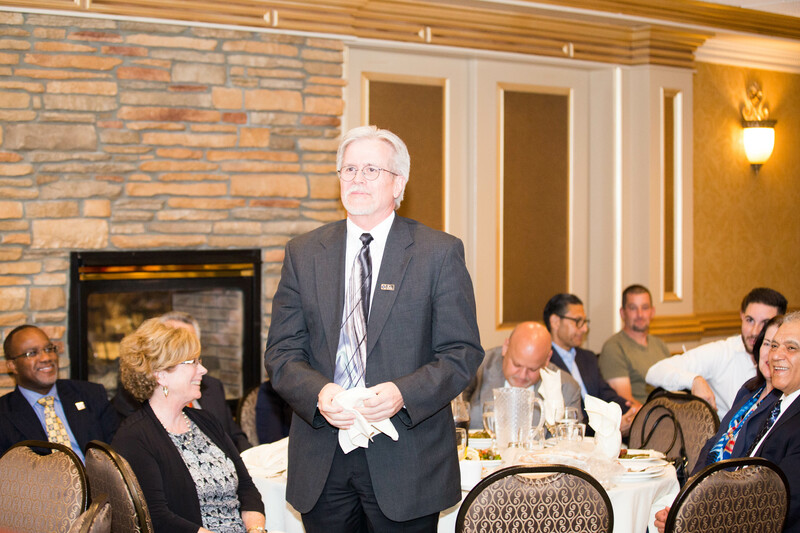 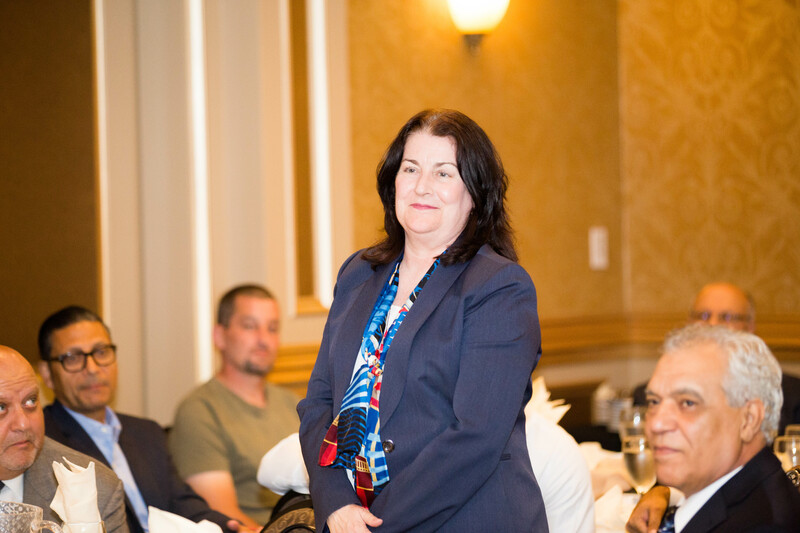 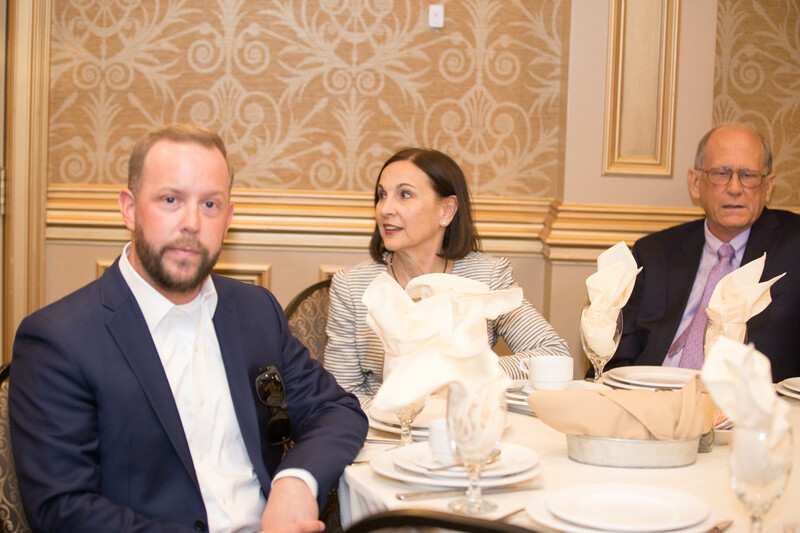 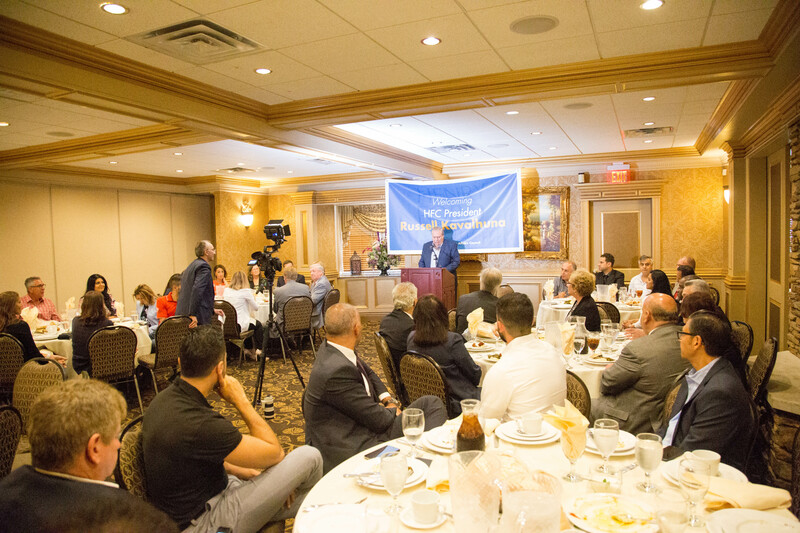 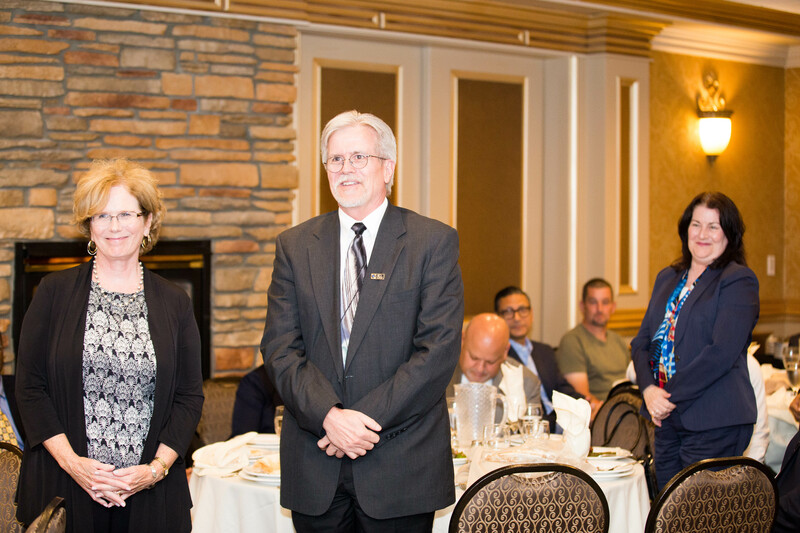 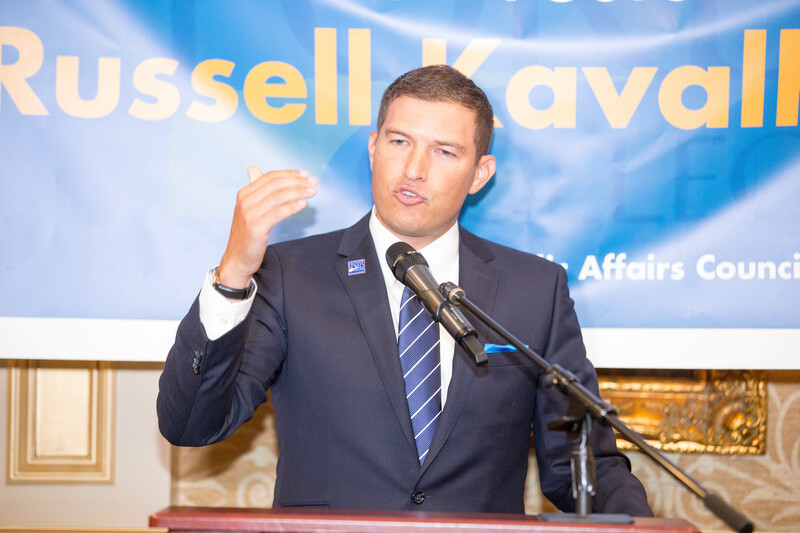 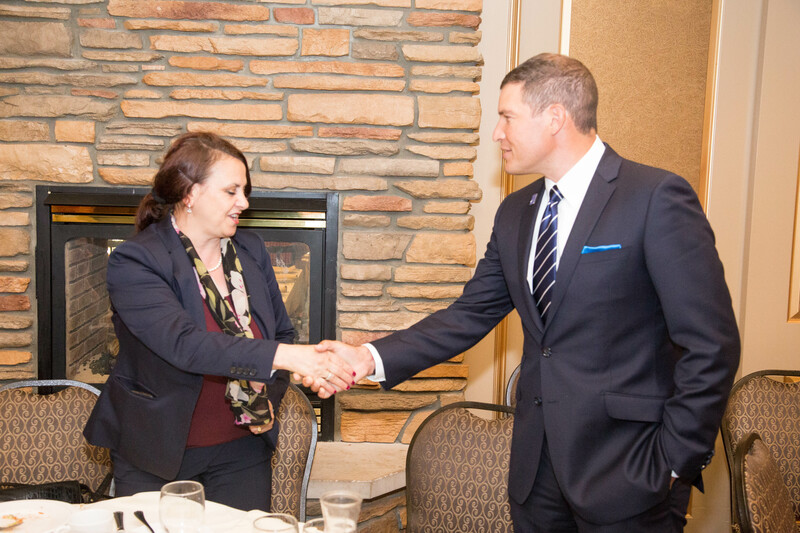 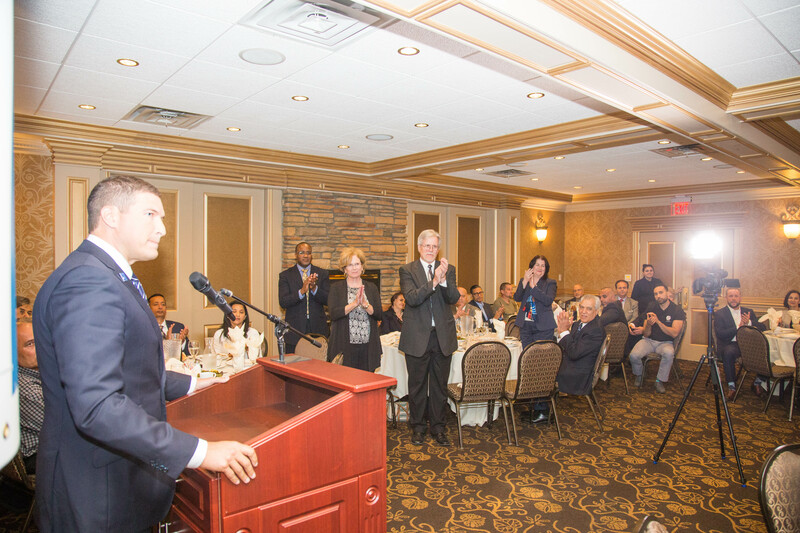 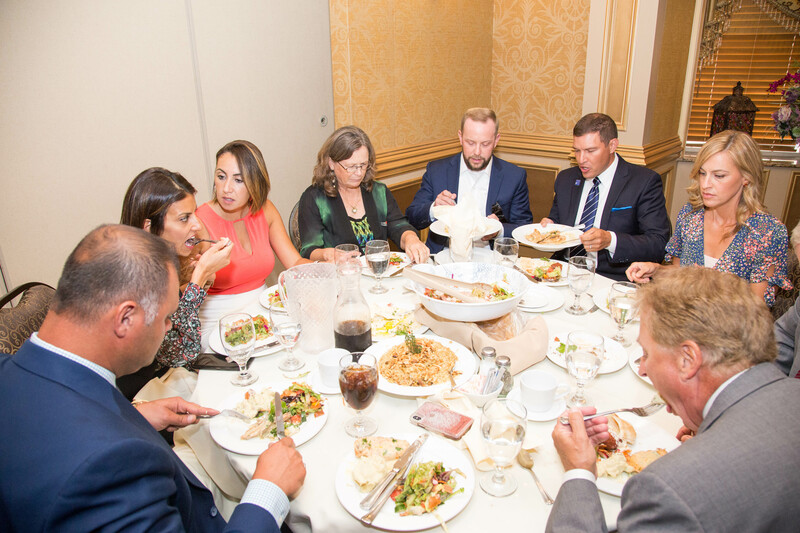 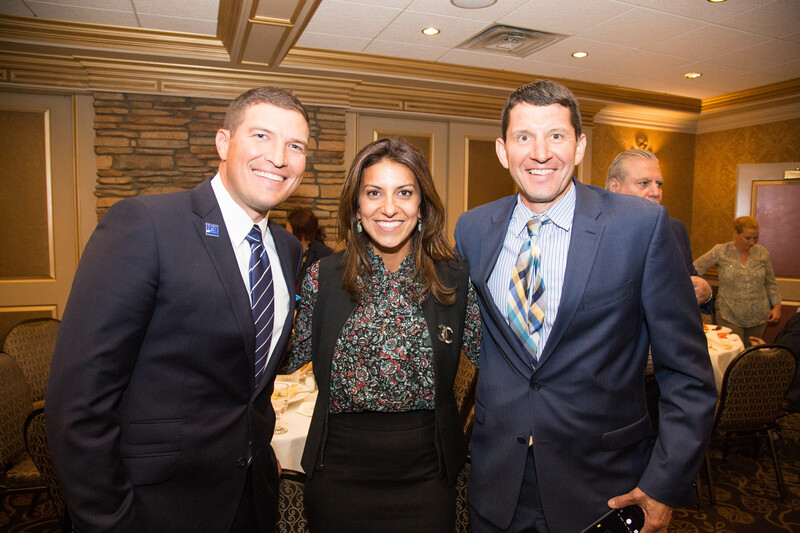 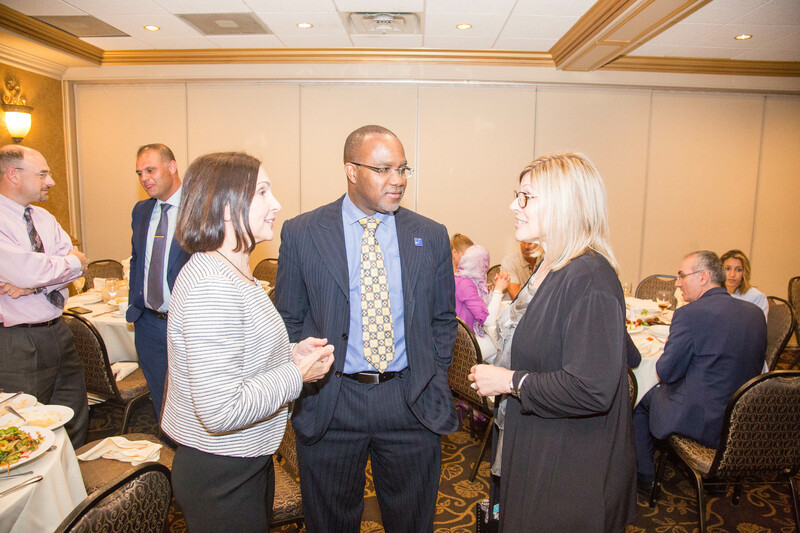 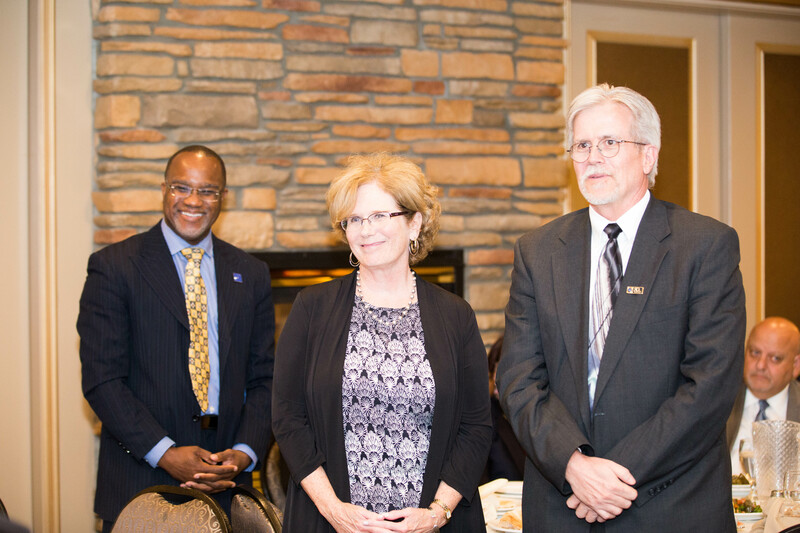 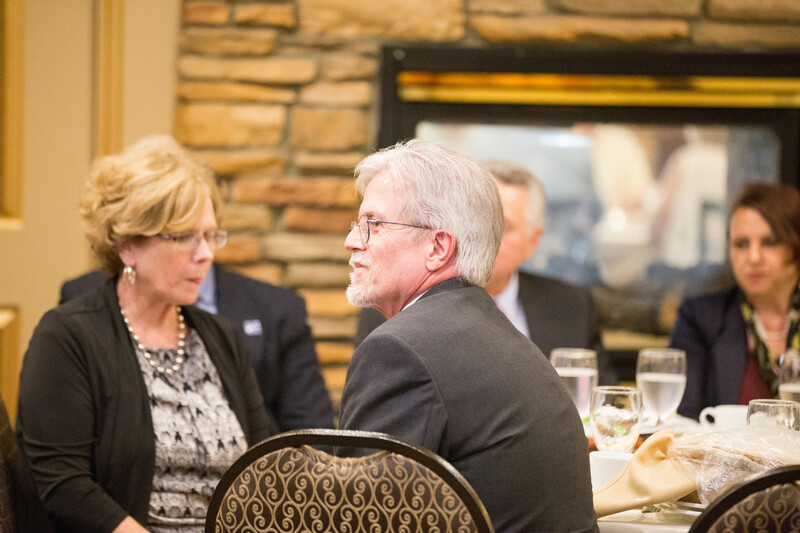 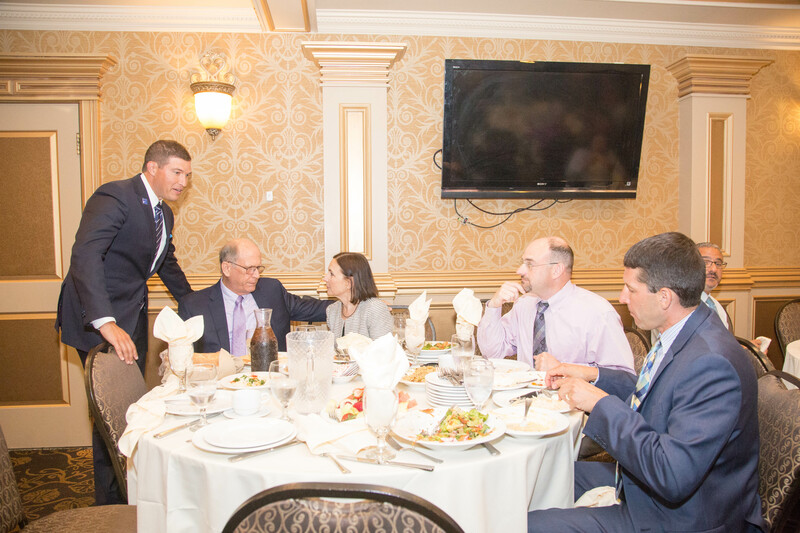 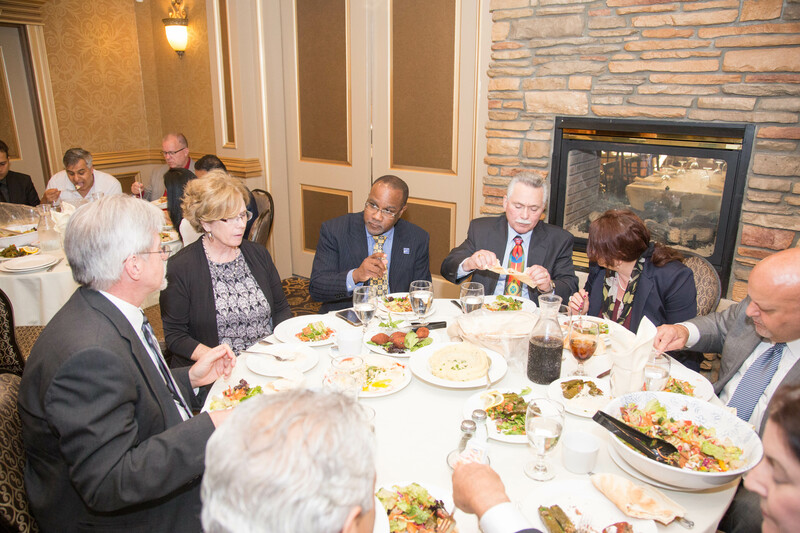 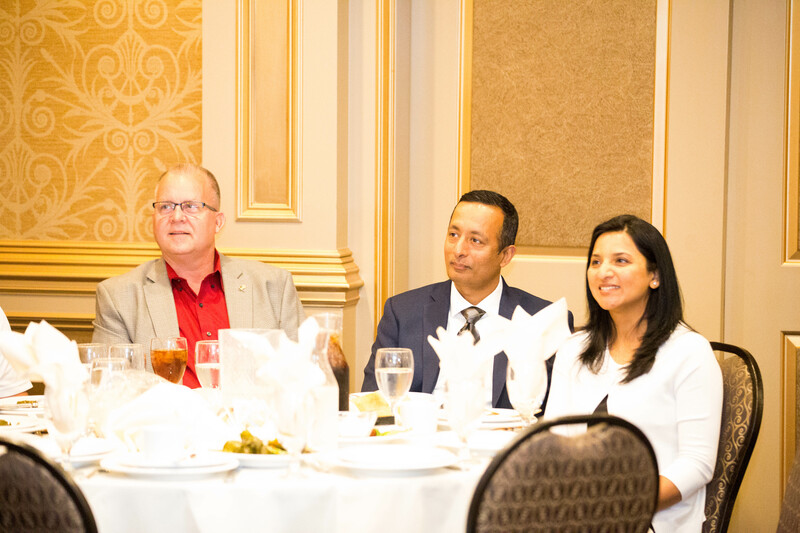 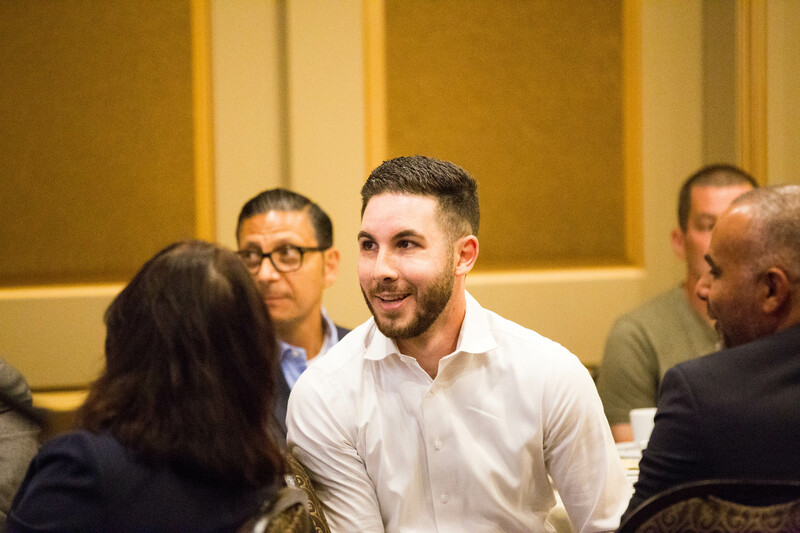 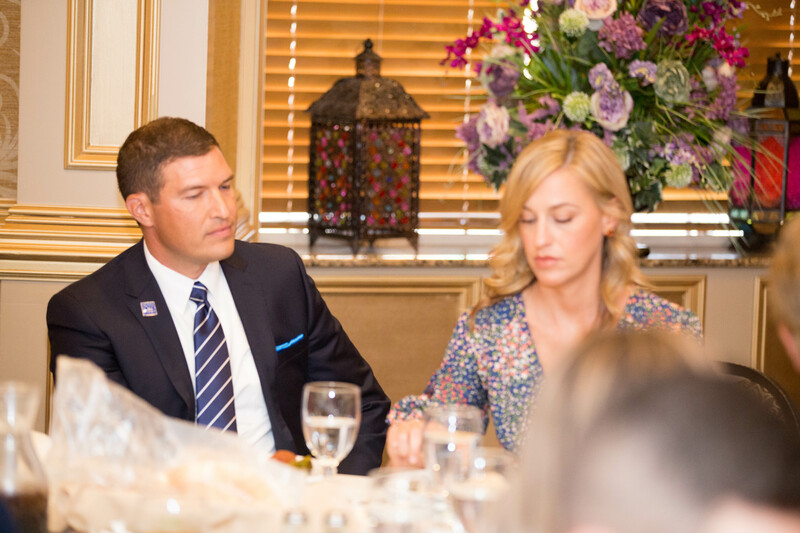 DEARBORN— Henry Ford Community College (HFC) President Russell Kavalhuna and his wife, Courtney, attended a dinner at Habib’s Cuisine on Tuesday, July 10, with community leaders celebrating his appointment. 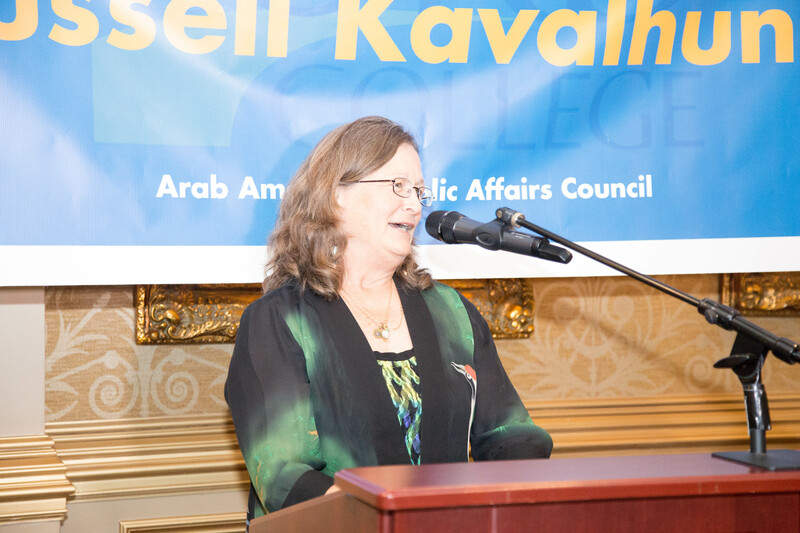 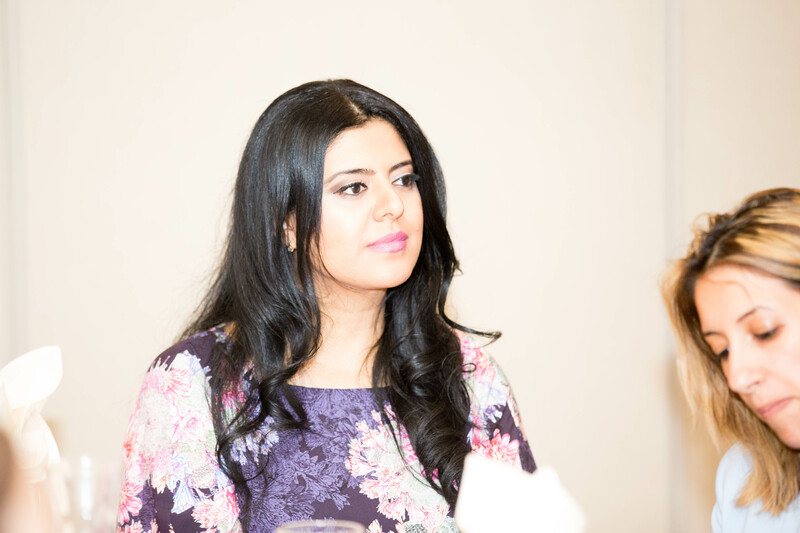 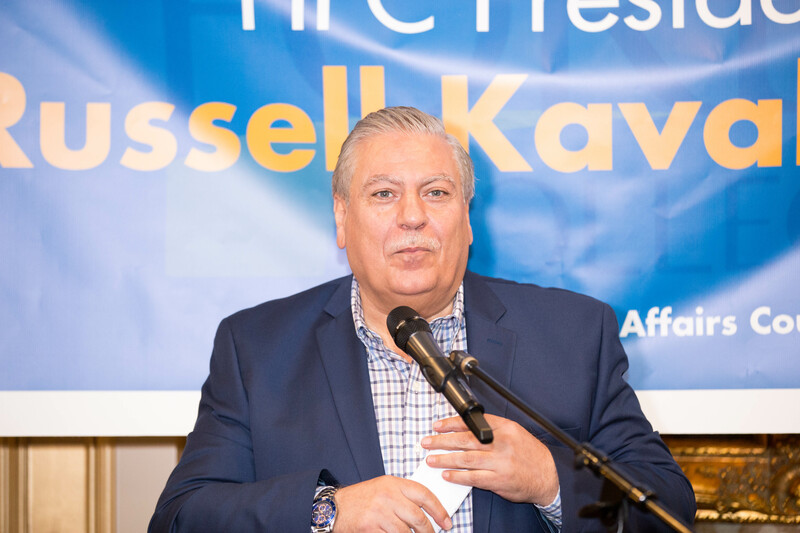 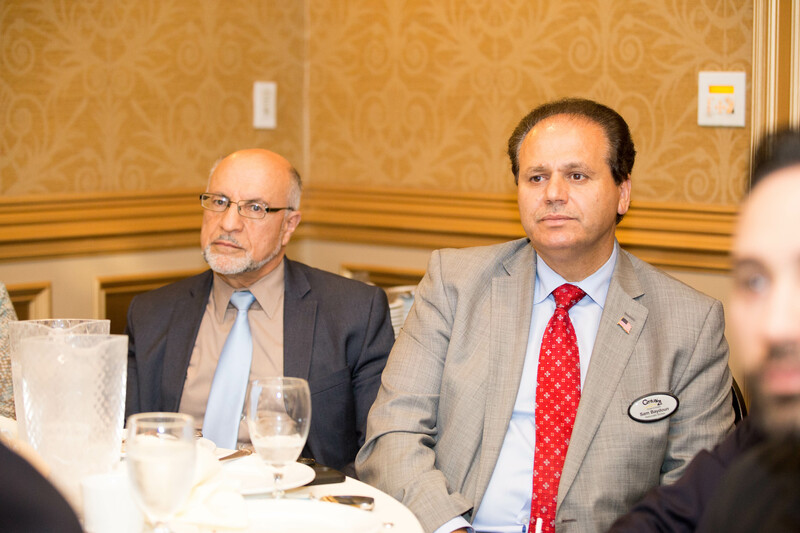 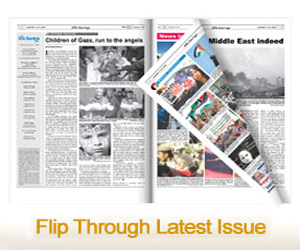 Osama Siblani, publisher of The Arab American News, gave the opening remarks at the event, welcoming Kavalhuna and his family, and offering the support of the Arab American community due to the challenges community education faces. 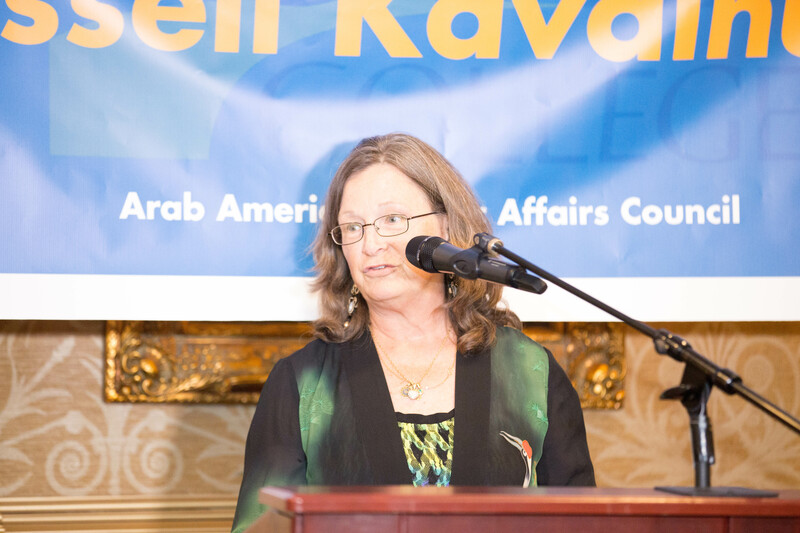 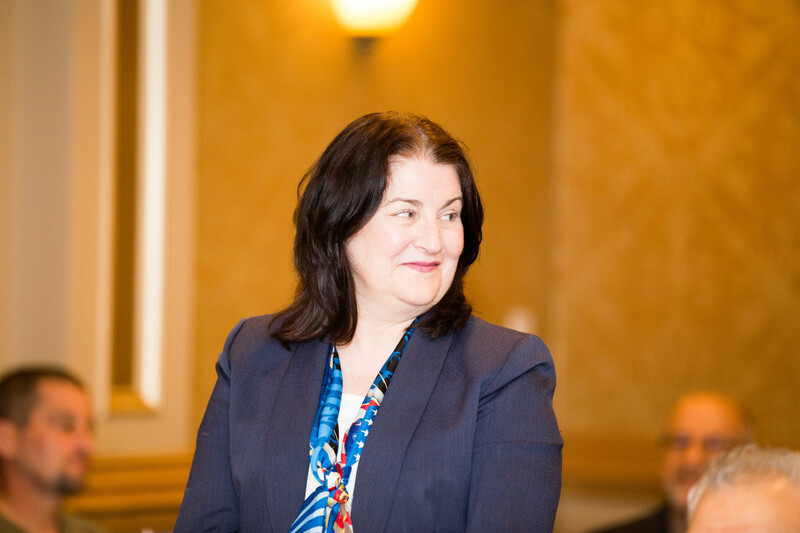 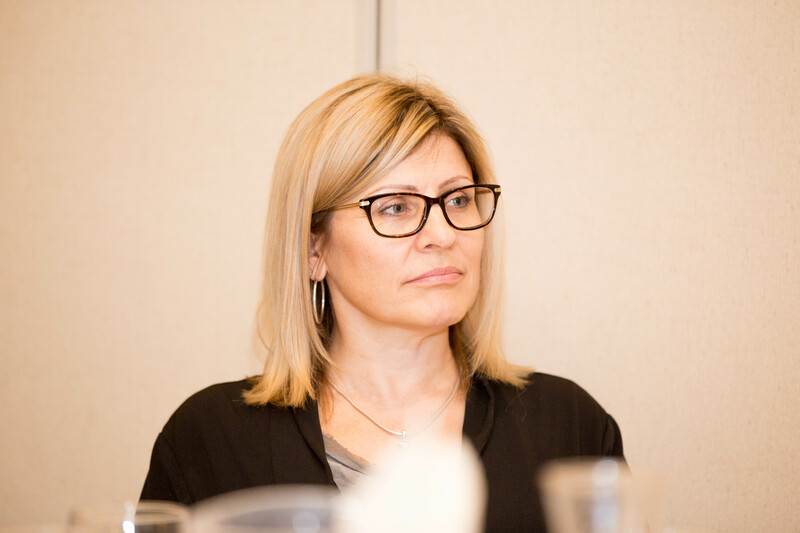 Dearborn Board of Education Trustee Mary Lane, who also spoke at the event, said she’s read reports that education institutions may fail in the coming years. 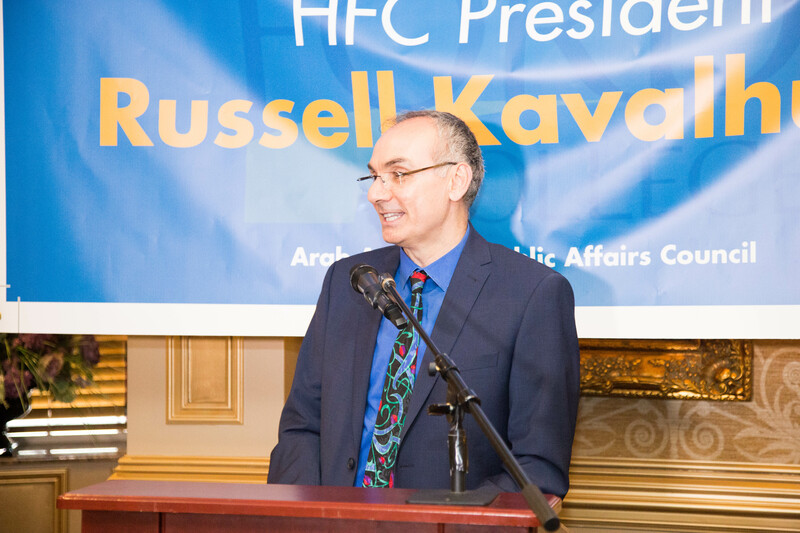 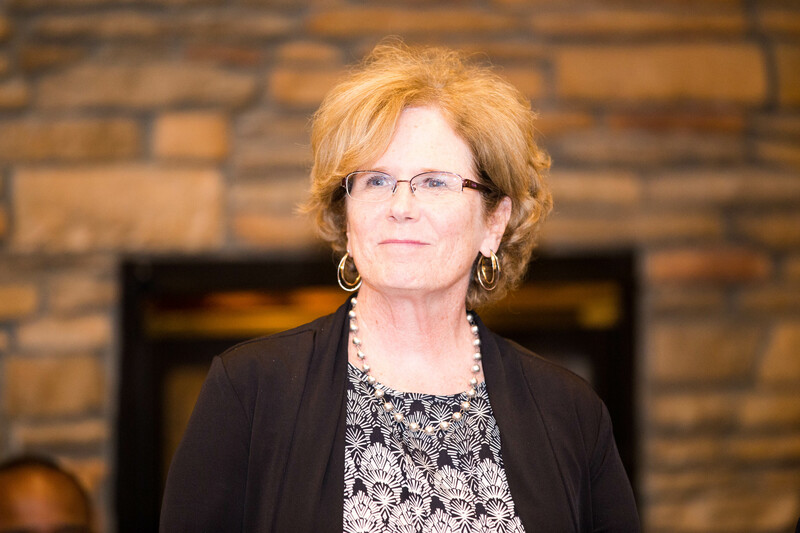 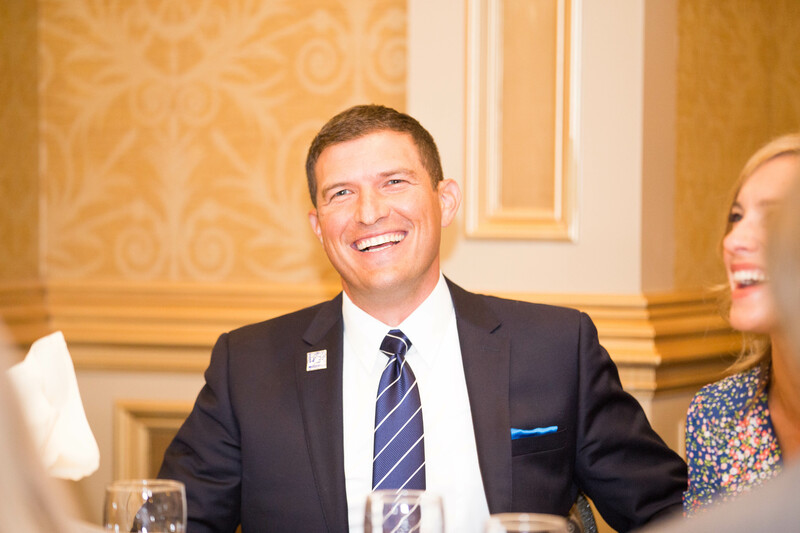 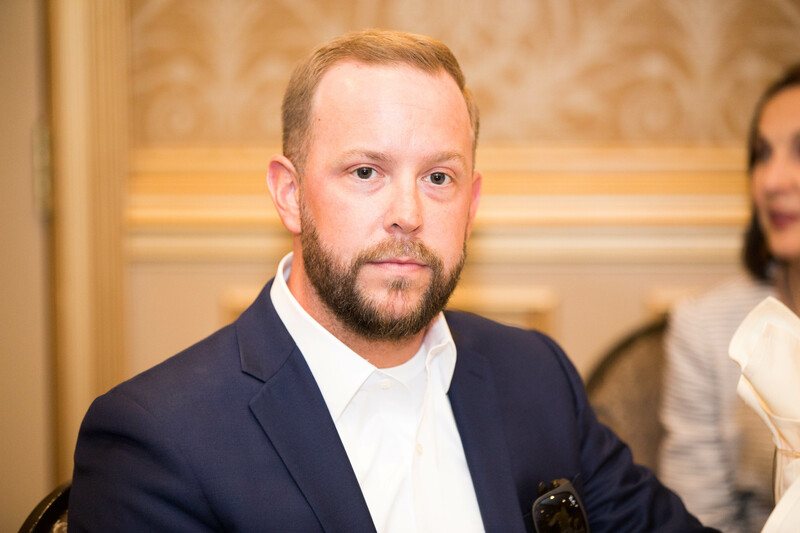 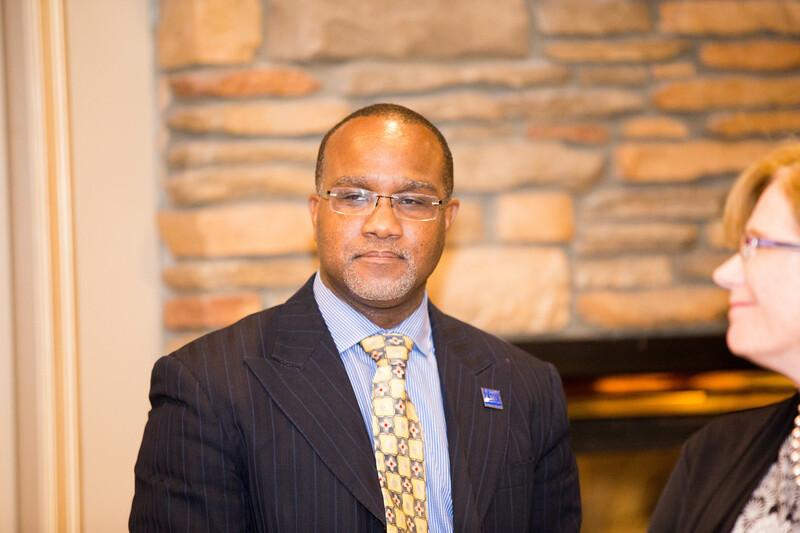 Kavalhuna replaces former HFC President Stan E. Jensen, who announced last November that we would leave HFC in mid-December for a position as executive vice president of college operations at Des Moines Area Community College in Ankeny, Iowa. 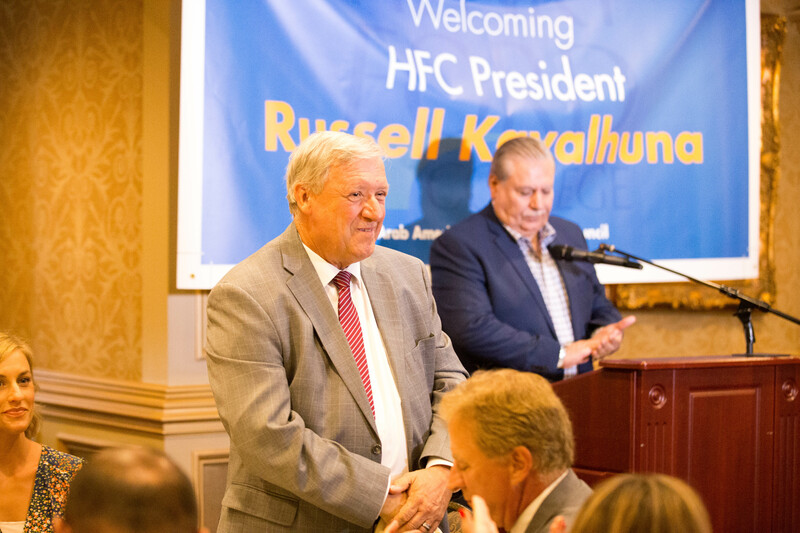 The HFC Board of Trustees appointed John Satkowski as interim president while interviewing for the position. 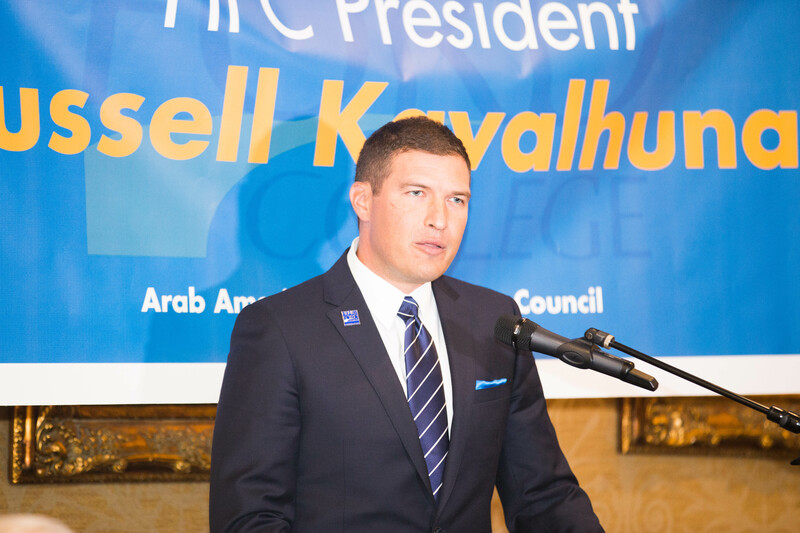 Kavalhuna’s hire was announced in March. 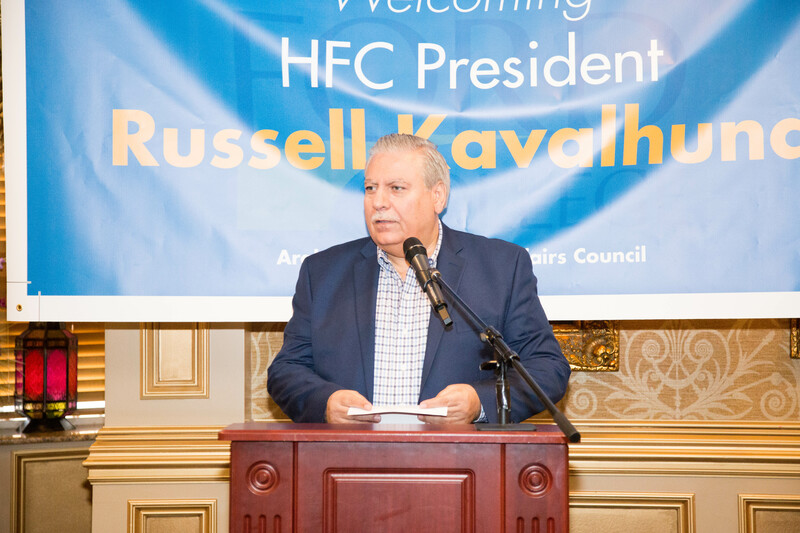 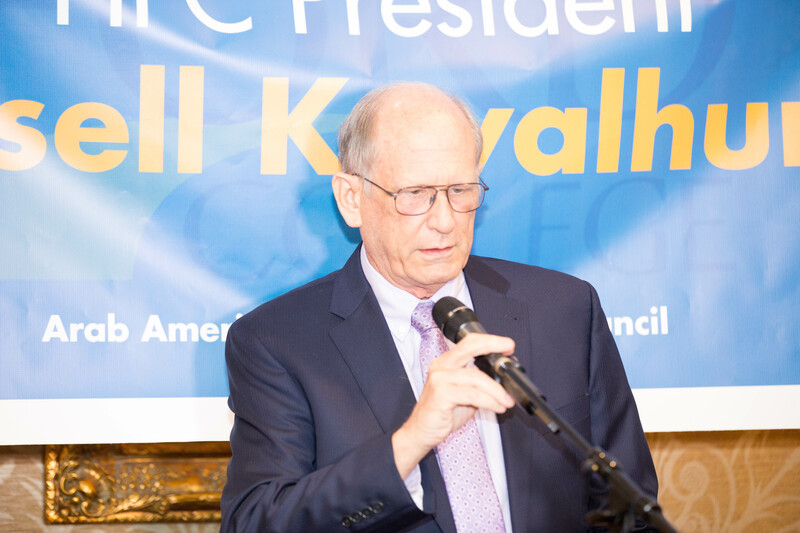 He officially took over as president of HFC on July 1. 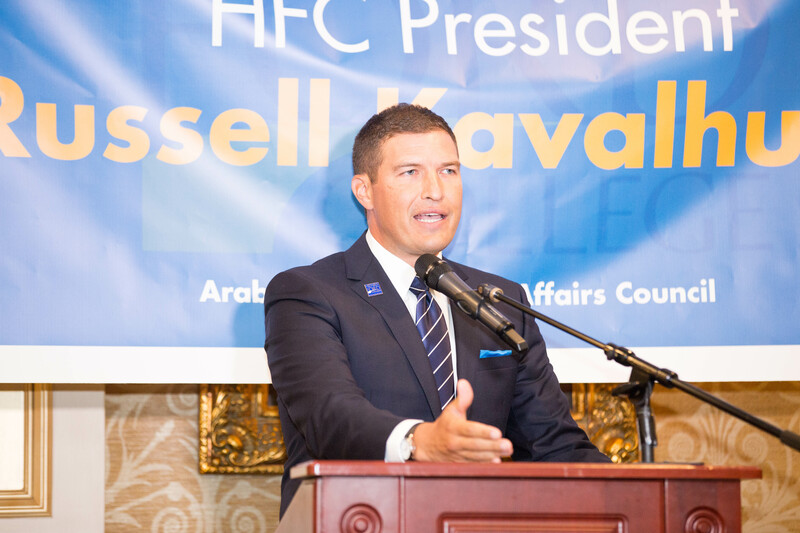 “I truly believe the best leaders of us do give an opportunity for the talented people around them to make use of those talents, not micromanage those people,” Kavalhuna said, describing his leadership style. 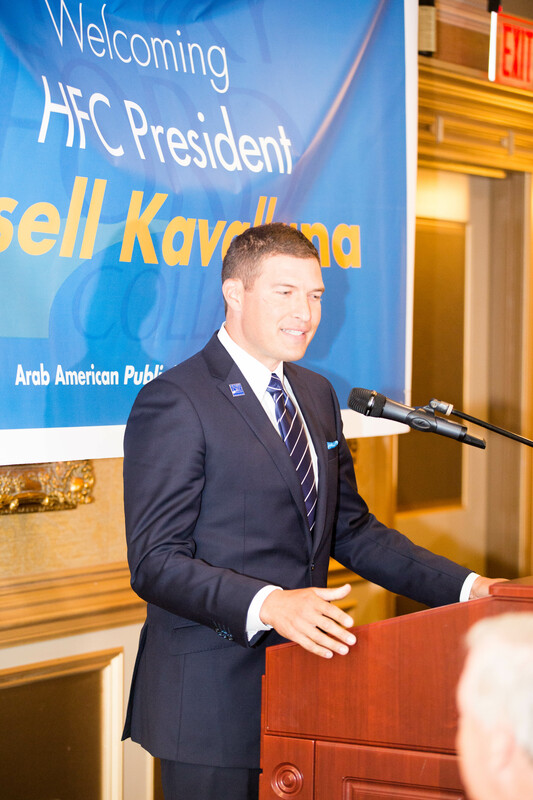 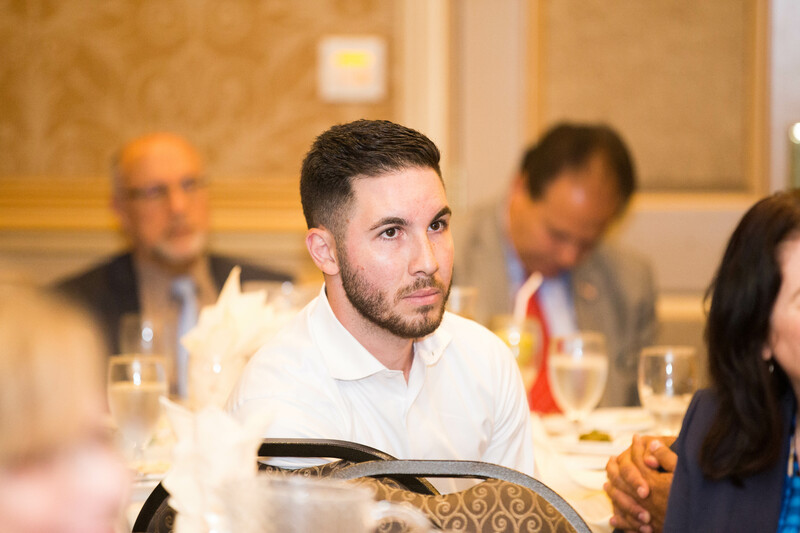 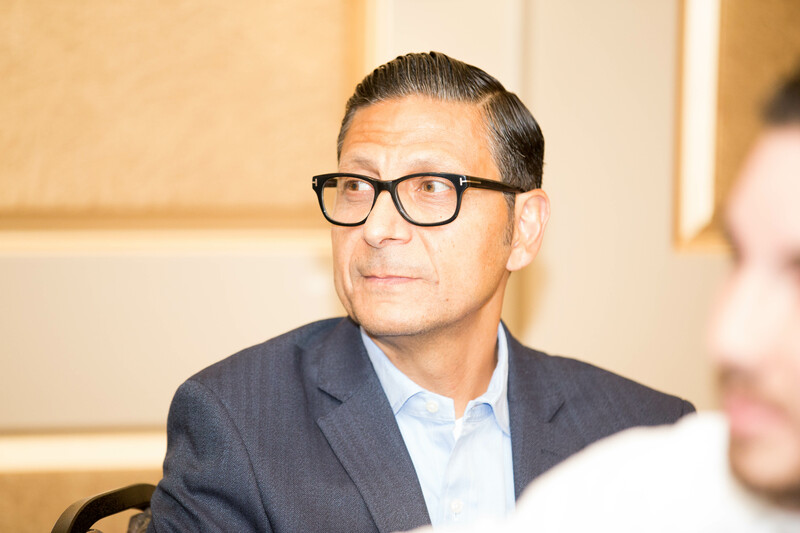 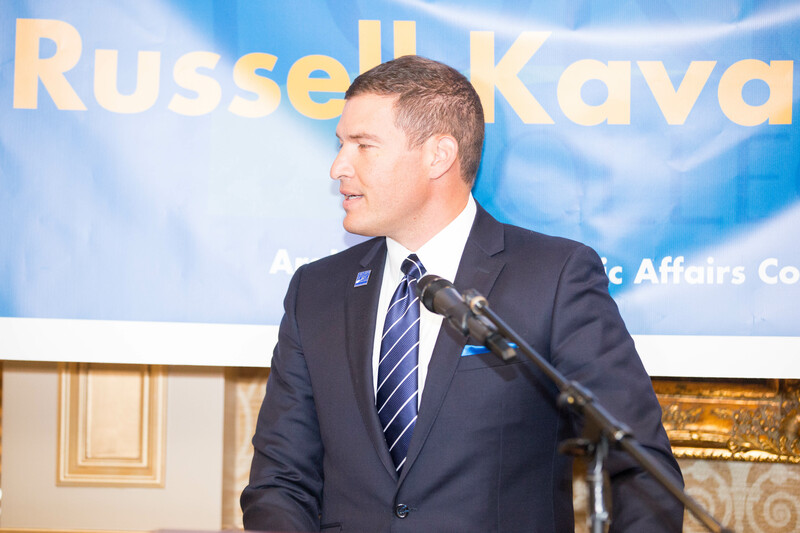 Kavalhuna said he relates to the Dearborn community through his own background as the child of immigrants, his father and grandfather, who came to the United States in search of a better life through opportunity for work and education. 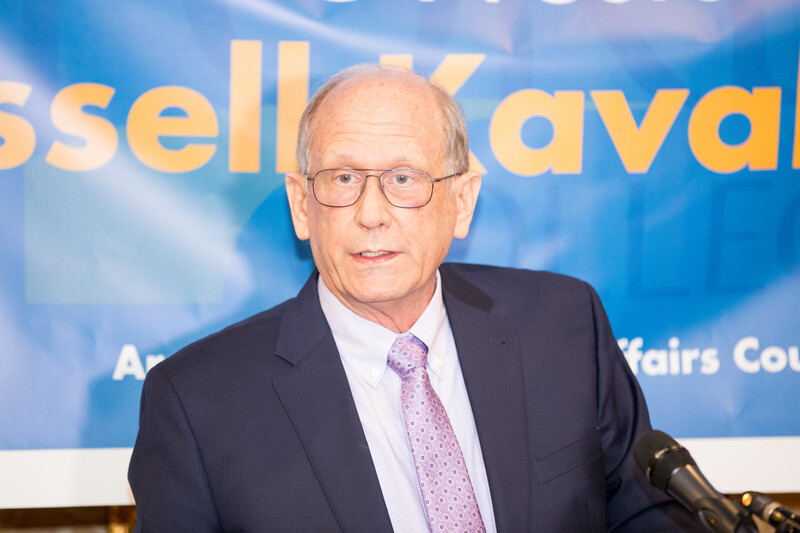 Kavalhuna and his family are currently relocating to the Dearborn area from Portage, Michigan. 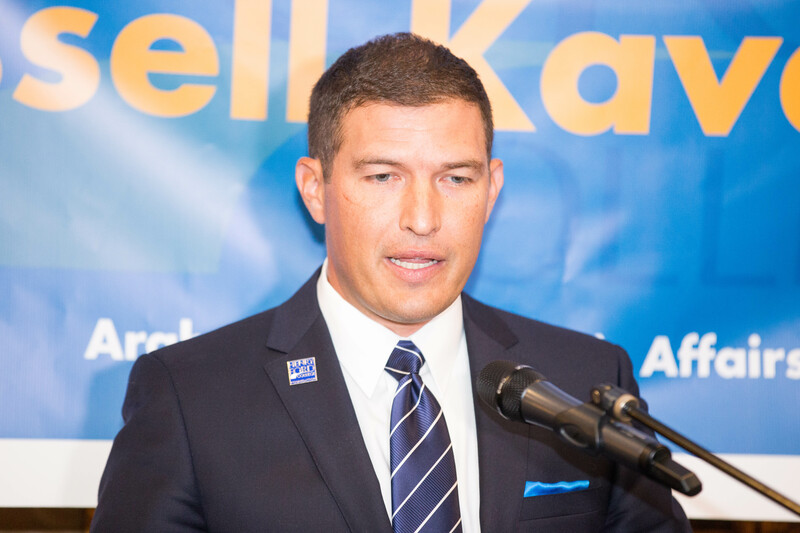 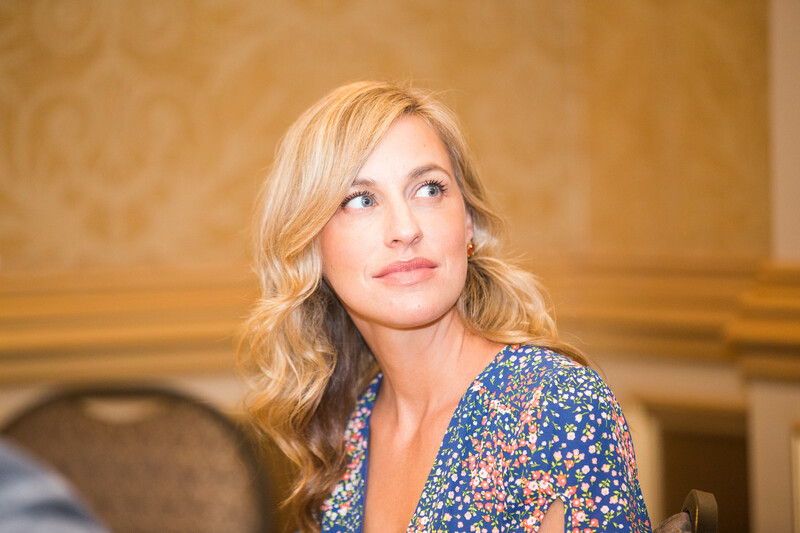 Courtney Kavalhuna said she is a stay-at-home mother for their two young children.